Every hipster’s favorite font is now wearable. 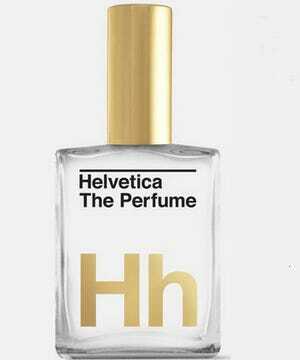 Helvetica: The Perfume is a real thing, guys. The self-titled “scent of nothing” comes in minimal packaging, and has minimal scent as well. The scent’s designers claim the perfume is made up of elements stripped down to their purest forms: “air, water, and you.” $62 is a steep price to pay for a bottle of distilled water, but the bottle itself is made with real 24k gold, and its sleek box printed with (what else) philosophy in Helvetica typeface makes for fun gifting fora techie friend. There’s some meaning here, I’m probably just not getting it.